Powerhouse program, dynasty. Those are words that can be used to desciribe the Belen Jesuit cross country program. The team has won five state championships (three in 2A, two in 3A) and has had one runner-up finish (2009) in the past six years. 2011 could have been the best year of them all. 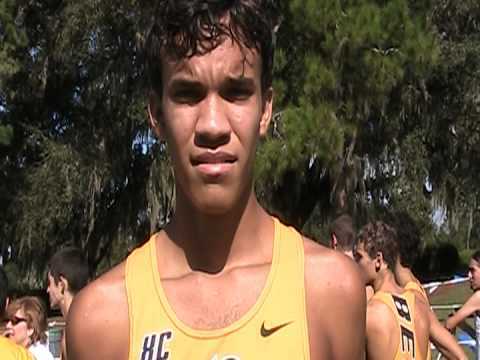 Belen placed five of it's seven runners in the top thirteen led by individual champion Elliot Clemente. The Wolverines finished 1st, 4th, 7th, 9th, and 13th to score an amazing 26 points! 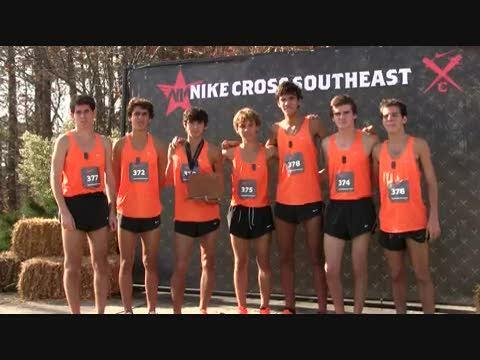 Clemente and the rest of the team were at it again in the Nike Southeast Regional as he took individual honors and the team took home the top prize as well. In 2012, Clemente has moved onto the University of Florida, and Francisco Tejidor has graduated as well leaving the reigns to a new group lead by senior Avery Lopez. He will be joined by juniors Michael Magoulas and Fabian Thomas to pack a huge punch at the front end of the team. Senior Diego Rojo and junior Alex Isaac round out the top five returners. Several members have also had a lot of success this outdoor season. Avery Lopez turned in a runner-up performance in the 1600 meters at state running 4:17.68 and then running 9:30.80 to finish fourth in the 3200. Fabian Thomas finished 6th in the 3200 crossing the line in 9:34.65. Michael Magoulas placed 13th in 9:54.80. Lopez Thomas. and senior Diego Rojo teamed up in the 4x800 meter relay for a second place finish. The team is putting in the work this summer to prepare for another run at a state title. Belen has built a Nike hill to give the Miami kids a little bit of elevation to run on. In addition, to that Coach Ruiz took a handful of kids out to Colorado to do some more altitude training. Combine that with the experience of this team at both the state and national level and their drive to succeed make Belen hard to beat. The overeall preseason rankings have Fort Walton Beach as the top team in 3A. It will be interesting to see if the Vikings can be the ones to overtake Belen. It's only been done once in the past six years. 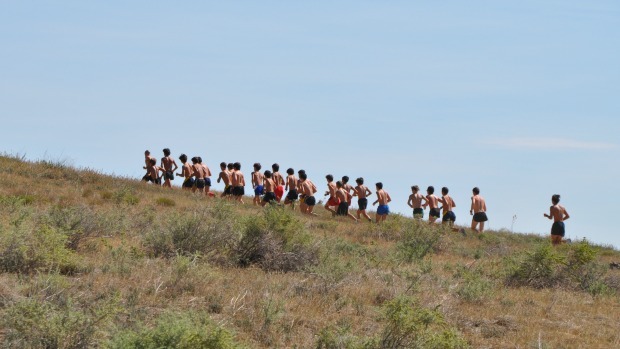 "The 2012 Belen Jesuit XC Team is looking like another hard working team doing what is necessary during the summer training to build upon prior program successes. The team is diligently working on developing depth up front and in the mid-pack by combining the new energy of the freshmen class and the focused experience of the upperclassmen. The team has about the same number of runners as last season and they are coming off of a healthy and productive summer training schedule." "It is too early for us to pinpoint any specific additions, however, the program is designed to expect and require significant contributions from both the new freshmen runners as well as the veteran varsity runners. Senior Avery Lopez is coming off of a solid track season and has been using his leadership by example to inspire everyone to do their part in making the team better every step along the way." "The team looks to run hard at every meet throughout the entire season, as we strongly believe that success is defined by the sum of the outcome of all competitions within the season's schedule. The ultimate goal is to compete and prepare the team for the best opportunity at contending for a State Championship."